With fuel prices at an astounding $9 per gallon for unleaded, slightly less for diesel, the Romans are leaving their cars parked and taking public transportation. 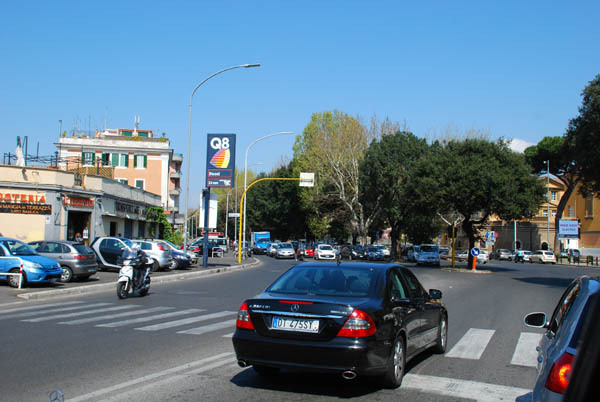 What used to be a white knuckle drive into the heart of Rome from the airport is now a breeze, with very few vehicles on the road except for official government cars, taxis and delivery vehicles. The sticker shock at the pump also has an effect on the price to take a taxi in Rome, now at an all-time high. So far, these very high fuel costs have not trickled down onto the prices on the menus at Rome’s many Trattoria and Osteria, but give it time. Posted in Italy Tours and tagged fuel, italy, prices, rome.